Below is a comprehensive list of hotels in Flamborough Lighthouse. Use the sort links to refine your search or to find featured accommodation in Flamborough Lighthouse. Many of our hotels in Flamborough Lighthouse feature no booking fees and best price guarantee when booked through the Pictures of England website. To list your hotel in Flamborough Lighthouse, click here. Set 27 km from Scarborough and 45 km from Kingston upon Hull, Home Bay offers accommodation in Flamborough. The unit is 8 km from Bridlington. An ove.. 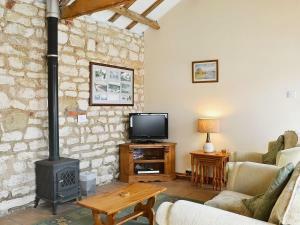 Situated in Flamborough, Meadow Cottage is a cottage boasting a barbecue. The unit is 27 km from Scarborough. 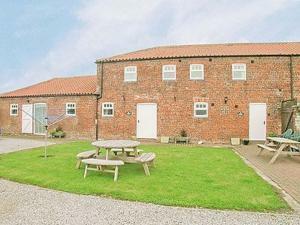 The unit fitted with a kitchen with a d..
Gull Newk offers pet-friendly accommodation in Flamborough. The property is 27 km from Scarborough and features views of the garden. Free private park..
Ploughman'S Cottage is a holiday home is set in Flamborough and is 27 km from Scarborough. It provides free private parking. There is a dining area a..
Owl Cottage is a holiday home is situated in Flamborough and is 26 km from Scarborough. The property is 45 km from Kingston upon Hull and free private..
Jenny Wren is a holiday home is set in Flamborough and is 26 km from Scarborough. The property is 45 km from Kingston upon Hull and free private parki.. Situated in Flamborough in the East Riding of Yorkshire Region, this holiday home is 26 km from Scarborough. The property is 45 km from Kingston upon ..
Set 26 km from Scarborough and 45 km from Kingston upon Hull, Kingfisher Cottage offers pet-friendly accommodation in Flamborough. 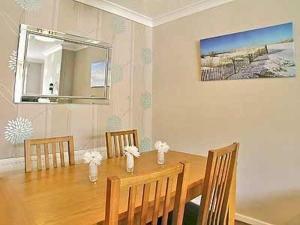 It provides free pr..
Set in Flamborough, this holiday home is located 26 km from Scarborough. The unit is 45 km from Kingston upon Hull. The kitchen is fitted with a dish..
Blackbird Cottage is a holiday home located in Flamborough in the East Riding of Yorkshire Region and is 26 km from Scarborough. The property is 45 km.. Swallow is a holiday home located in Flamborough in the East Riding of Yorkshire Region and is 26 km from Scarborough. The property is 45 km from King.. Lobster Cottage is a holiday home located in Flamborough in the East Riding of Yorkshire Region and is 26 km from Scarborough. The unit is 44 km from .. Located in Flamborough in the East Riding of Yorkshire Region, this holiday home is 26 km from Scarborough. The property is 44 km from Kingston upon H.. 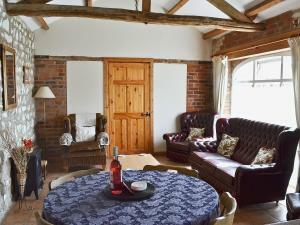 Located 26 km from Scarborough, Peregrine Cottage offers pet-friendly accommodation in Flamborough. The property is 44 km from Kingston upon Hull and ..
Guillemot Cottage is a holiday home is situated in Flamborough and is 26 km from Scarborough. The unit is 44 km from Kingston upon Hull. An oven, a t.. Situated 26 km from Scarborough and 44 km from Kingston upon Hull, Kittiwake House offers pet-friendly accommodation in Flamborough. It provides free ..
Turnstone is a holiday home with a garden, set in Flamborough. The property is 26 km from Scarborough and free private parking is provided. The kitch..